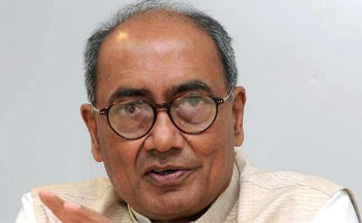 Digvijaya Singh's Blog : 2011 Oct 11 : Should the Lokpal have overriding powers over elected representatives in a democracy? Should the Lokpal have overriding powers over elected representatives in a democracy? Corruption affects everyone and there is no doubt that we must go to any extent to see that we put in place systems which not only curb corruption but also ensure exemplary punishment to all those indulging in it. Democracy is the least evil of all forms of Government. We have a Constitution which has stood test of time over the last 60 years. It may not be perfect but then we have a vibrant democracy going while we have seen in our neighborhood, countries which have flirted with military dictatorship and finally had to come back to democracy. Can we be given the right of framing the law rules and regulations outside the parliament? In a country of billion people, the house of the people which is Lok Sabha is accountable to the people and if the MPs and the Govt don’t deliver the people have the right to vote them out. We may have black sheep among our politicians but can we label all of them corrupt? Anna and his team may have scant respect for those who frame the law but shouldn't he also introspect and see the members of his own team? Have they not flouted rules? Have they also not been charged over the years for doing unethical things which has been challenged? Dr Manmohan Singh has been extremely soft on Anna and his team. He need not have agreed to their demand of constituting a drafting committee which was not taken kindly by other political parties. Even in case of Baba Ramdev he went out of his way to accommodate his views to the extent possible. The good intent of PM and his govt can't be questioned. But to take that as a sign of weakness and threaten that either you follow "my way or take the Highway" or the attitude that if you are not with us then you are corrupt would be unacceptable to any responsible Govt. Would the NDA govt have ever agreed to set up a drafting committee outside Parliament with senior most ministers and issued a Gazette Notification to that affect? Certainly not. Some people of a particular ideology have never accepted India as a democracy. They didn't take kindly to Dr Ambedkar's drafting of Indian Constitution from day one. They have never accepted reservation of SC and ST. They challenged Pt Nehru's idealism and confronted him and his pro poor progressive policies of social change. They opposed land ceiling and land reforms. They opposed Bank nationalization which saved us from worldwide recession. They opposed taking away of privy purses and privileges of former ruling princes. They set up a commission to have a re-look at the Indian Constitution. They have never accepted the principle of secularism. They haven't got over their loss in 2004 and then again in 2009. Their frustration is obvious and is apparent. Destabilising a functional govt is their intent. Is the Jan Lokpal Bill a holy cow?